Red and black Supercycle Nitrous Bike, stolen from a Steinbach residence. 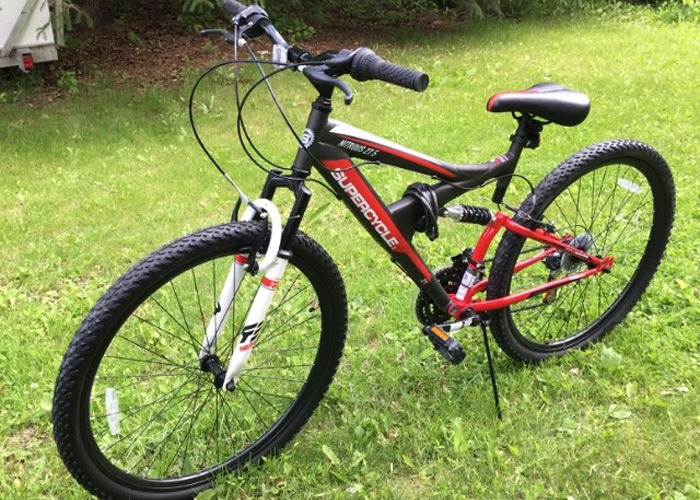 Steinbach RCMP are asking the public for any information that may be connected to a recent bicycle theft that occurred on Southwood Drive in Steinbach. Steinbach RCMP recently received a report that a bicycle had been stolen from a residence located on Southwood Drive in Steinbach. The bicycle is described as a red and black Supercycle Nitrous Bike 27.5. Police say that the bicycle was last seen in the owners locked shed on March 30, 2019. If you have any information in regards to the above you are asked to contact the Steinbach RCMP Detachment at (204) 326-4452 or Crime Stoppers at 1-800-222-8477 or www.manitobacrimestoppers.com.